Access to finance is one of the most prevalent challenges facing entrepreneurs and business owners across developing markets. Local banks have traditionally focused their lending on large companies – in part because they view smaller firms as having insufficient assets or collateral. Even when bank debt is available, it is often short term in nature and does not provide the patient capital small and medium enterprises (SMEs), including Black Economic Empowerment (BEE) transactions, require to grow. Private equity may be one viable option but entrepreneurs and BEE beneficiaries are often reluctant to give up equity. In such cases, mezzanine financing may provide the solution. Mezzanine financing encompasses a wide range of debt and equity positions that can be structured in a variety of ways to finance existing companies. 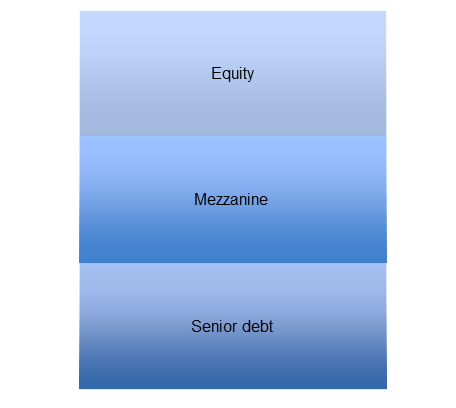 In its most basic form, mezzanine capital is a subordinated debt instrument that is positioned in a company’s capital structure below senior debt and above common equity. In other words, in the event of default, mezzanine lenders stand in line behind all senior loans or obligations but ahead of equity holders. 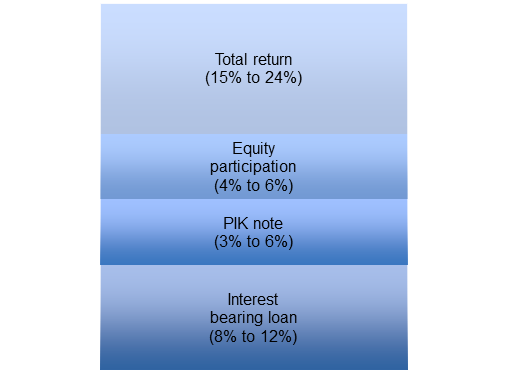 Mezzanine financing can be structured in various ways that includes subordinated interest bearing loans, payment-in-kind (PIK) notes, convertible debt, subordinated or junior debt, debentures and preference shares, and through a combination of various instruments, mezzanine lenders are able to position themselves along the capital structure to achieve the desired risk and return profile. This flexibility in structuring deals enables mezzanine lenders to create a blend of downside protection and upside participation, bespoke to each investment opportunity. Finally, mezzanine financing is typically privately negotiated, and therefore the specific terms vary depending on their position within the capital structure, company size and credit worthiness, industry dynamics, and the complexity of the transaction. Makalani © 2018 - All rights reserved. Makalani Management Company (Pty) Ltd is an authorised financial services provider with the Financial Services Board (FSB license number: 42320). Makalani Fund Manager Namibia (Pty) Ltd is registered as an investment manager with the Namibian Financial Institutions Supervisory Authority (NAMFISA license number: 15/UIM/18).